This video gives examples of games and strategies to use in the classroom. Hand signal is lightly touched upon, but it has great resources to use such as a hand signal. The strategies explained can be used for student comprehension. "The help-signal is a flexible procedure that the student can use to get teacher assistance during independent seatwork. It allows the student to signal the teacher unobtrusively for help while continuing to work productively on alternative assignments." (InterventionCentral, 2015). If students aren't understanding something or have a question, they just need to show the hand signal and the teacher can assist them. One of the important parts of the hand signal is that it is a silent signal for students to show their distress to the teacher. Without disrupting the class or the learning of other students who have full understanding, the student can signal and then explain what they have questions about. Reading: When a student is having a problem with comprehension, vocabulary, or sentence structure, the students can use the hand signal to show the teacher that they need help and clarification. Math: If a student has a question about vocabulary, a math problem, or a formula, the student can show the hand signal to receive help. There can be a rule in the class that other students can help each other in math as well. For example, if Student A has a question and uses the hand signal, Student B can assist Student A if possible. Science: Science has complicated vocabulary that students may need clarification on. By using the hand signal, teachers will know if many students or only a few are struggling with a concept. There can be another explanation for the whole group if need be. Social Studies: During social studies instruction, students may falter in understanding vocabulary or historical events. If a student is struggling with understanding historical events, they can show the hand signal and someone can help them. Through many explanations from different students and the teacher, many students will be able to relate to at least one explanation. "Step 1: Select a Student Signal. Decide on a way that the student can signal that they require teacher help. One approach is to prepare a 'help-flag' (a strip of colored, laminated posterboard) with the word 'Help' or similar word written on it. Attach a Velcro tab to the flag and affix a corresponding adhesive Velcro strip to the student's desk. Step 2: Create an Alternative Work Folder. Create a student work folder and fill it with alternate assignments or worksheets that the student can work on independently. For example, you might insert into the folder math worksheets, a writing assignment, or lists of reading vocabulary words to be practiced. Step 3: Introduce the Program to the Student. Set aside time to meet with the student to introduce the help-signal routine. Show the student how to post the help-flag or other help signal. Instruct the student that he or she should post the help-signal whenever he or she becomes stuck on seatwork and needs instructor assistance. Tell the student that--after posting the help-signal--the student should next check over the current work assignment to see if their other problems or items that he or she can work on while waiting for the teacher. Show the student the alternative-work folder. Tell the student that, if he or she cannot continue on any part of the seatwork, the student should pull out the folder and to begin to work on an alternative assignment. The student is to continue working on that assignment until the teacher or other staff member can get to the student's desk to provide assistance. 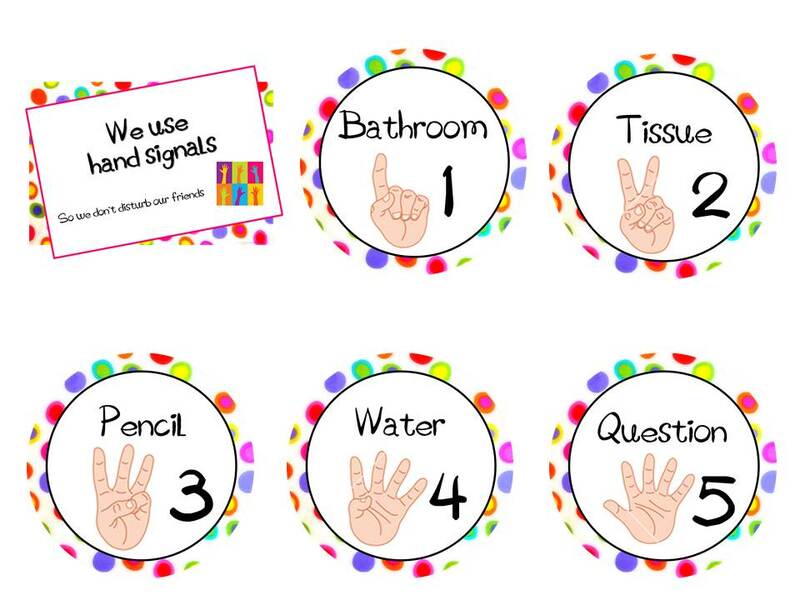 Also, be sure that your student knows during what activities and times during the school day that he or she is to use the help-signal to indicate that adult attention is needed. Give the student a chance to try out the help-signal under your guidance, and offer feedback about the performance. Let students know that if they stand and approach you for help directly rather than posting the help-signal, you will remind them to use the signal and then send them back to their seat. Step 4: Begin the Intervention. Start the help-signal as soon as you feel that the student understands and will comply with the system. Take care to scan the room periodically when you are free during student independent seatwork to see if any students might need your assistance." (InterventionCentral, 2015). "Train all students to use the help-signal as a classwide intervention. select a 'secret' signal that for the student to use that is clearly observable to the teacher but is unlikely to draw the attention of other children. You might, for instance, pick a red folder to hold the student's alternative work and tell the student simply to pull out that folder and begin working from it whenever he or she needs instructor. help. Whenever you see the red folder open on the student's desk, you will know that the child needs help. provide rewards to the student for following the help-signal routine and include mild negative consequences (e.g., temporary loss of a classroom privilege) if the student refuses to comply." (InterventionCentral, 2015). "The time that students spend in the classroom actually working on academic subjects is sometimes referred to as 'engaged time.' During independent seatwork, difficult-to-teach students may not have effective strategies to ask for teacher help. Instead, when these students encounter a problem or work example that they cannot complete on their own, they may start to act out, distract peers seated around them, interrupt the teacher (who may be working with another group of students), or simply sit passively doing nothing." (InterventionalCentral, 2015). The Learner and Learning. (n.d.). Retrieved October 21, 2015.